The Loire Valley châteaux (castles) make this central region one of the most popular destinations in France for visitors, and with good reason. Just two hours from Paris, the mighty river flows slowly through a gorgeous landscape where medieval fortresses and Renaissance palaces are strung out like jewels along the banks. During the Renaissance, François I made Amboise his capital and it became the aristocratic, artistic and intellectual heart of France. Chambord, the biggest of all the châteax in the Loire Valley, was built by François I as a hunting lodge only. Today the whole valley is on the UNESCO World Heritage List, along with the Statue of Liberty in New York, the Great Wall of China, and many of the world’s most important places. It's easy to get to many of the châteaux by train from Paris, and a bus runs between several around Blois. Or base yourself in Blois or Tours in the western end and take side trips to other châteaux along the river by public transport. If you have a car, so much the better. Take time to château-hop your way along the Loire, it’s well worth it. Many of the châteaux have teamed up with neighboring properties to offer deals on visiting. Check with the local tourist office when you visit the first château on your itinerary or ask at the ticket office for information. 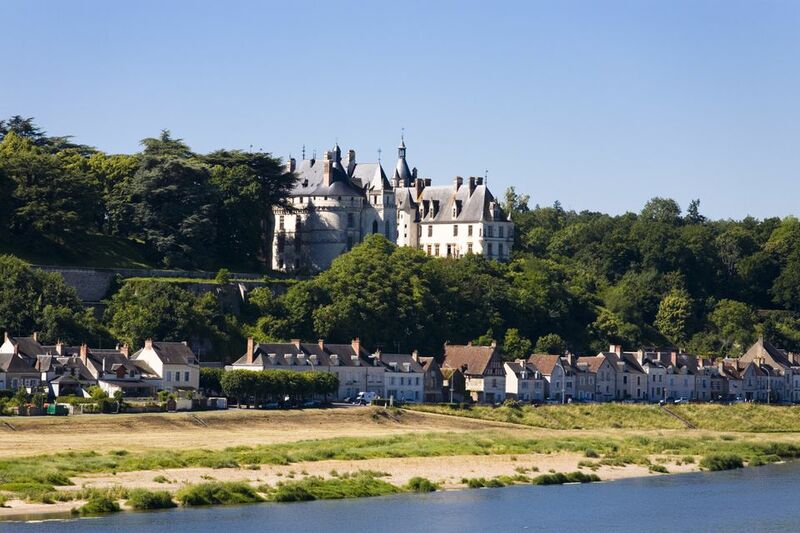 See a Google Map of the locations of these top ten chateaux in the Loire Valley. Sully, at the eastern end of the Loire Valley, is not one of the blockbuster châteaux, but it’s one of my favorites. Standing in a moat that reflects the white stone building, the original 14th-century medieval fortress still has its massive round towers with pepper-pot rooves. The château was built by the architect of the Louvre and Vincennes, then bought by Maximilien de Bethune (1560-1641) who became Duc de Sully in 1602. The splendid building that he restored and expanded stayed in the family until 1962. It's had its fair share of intrigue, sheltering royalty in 1652 during the Fronde (France’s civil war) and later the writer Voltaire who had seriously fallen out with the royal family. Voltaire also sheltered in the house of his lover, Emilie du Châtelet, in Champagne. You see the grand apartments of the Duc de Sully, the tomb room where the bones of the Duke and his wife rest, the huge staircase, the King’s bedchamber in Louis XIV style and other rooms with tapestries, ornate ceilings, fireplaces, and paintings. There is a regional bus from Orleans, ​the city of Jeanne d'Arc. Chambord is the big daddy of them all, with around 7,300,551 visitors a year making it the biggest attraction in the region. So if you want to see it without hordes of other visitors, try to go off-season. Chambord is a must-see, rivaling Versailles in all its wonderful grandeur. In the heart of the forest and reflected in the surrounding waters, Chambord was born of the dreams of François 1 who returned from his warring campaigns with an abiding love of Italian architecture – and Leonardo da Vinci. Chambord is a wonder of symmetry with a perfect Renaissance façade framed with fairytale towers. It’s not known if Leonardo had anything to do with the plans, but marvel at the double spiral staircase, designed so one person can climb up while another descends without ever meeting, and it seems likely. Construction started in 1519 and was completed some 20 years later. It was never lived in; François I stayed here during the hunting season (Chambord was, after all, merely a hunting lodge) as did various kings after him including the Sun King, Louis XIV. Climb the staircase to some glorious rooms furnished in period style. A film shows the various stages of construction, so you can follow its history. The terraces give you a glimpse at the structure of chimneys, staircases, the lanterns in the roof and of course, a fabulous view over the hunting grounds and park. Take the train from Paris to Blois, then a special bus that goes between various chateaux. Standing high above the town of Blois, the extraordinary château was built over the centuries so you walk through different architectural gems. Beautifully furnished inside, it has plenty to keep the family happy. If you're there in the evening, don’t miss the son-et-lumiere in the courtyard telling the intriguing, and sometimes bloody, history of the castle. Cheverny, unusually for one of the Loire’s great châteaux, is still in the same family that built it in 1634. So it has a more dynamic feel than you get at the other great monuments. The owner’s hunting dogs are kept on the estate, so if you’re lucky you might see the pack setting out for a day’s hunt, complete with green-coated riders trotting behind. Cheverny is gloriously symmetrical with a central façade flanked by square pavilions. Walk up the main wide stone staircase and you enter a decorated world of elegance and luxury. Tapestries on the walls; painted wooden ceilings; ornate gilded fireplaces, Old Master paintings, portraits, over-stuffed chairs, ornate cabinets by Boulle so beloved by Louis XIV, half tester and four-poster beds covered in red and gold silk, and armor on the walls - all of which gives the château a lived-in feeling, though of the grandest kind. The park stretches out into the distance to a canal, and at the back of the château you’ll find some serious gardens, including a potager (kitchen garden), formal walks and the ornamental pleasure garden. Many people come to the château for the Tintin exhibition. Cheverny was the model for Herge’s Moulinsart, so you might recognize the facade of the building from the comic strip. The permanent exhibition is delightful, and follows the events in the books, with plenty of discoveries to be made. It’s perfect for small children. There’s a good café in the former Orangery. Take the train to Blois from Paris, then take a taxi. Chaumont in the Loire-et-Cher departement is famous for two things. Firstly, the white stone château that stands high up on a hill overlooking the Loire Valley. It was the scene for intrigues and back-stabbing, particularly in the 1560s when Catherine de Medicis forced her husband’s mistress, Diane de Poitiers, to give her the more desirable Chenonceau in exchange for the more modest Chaumont. Chaumont's second claim to fame is its annual, summer-long Garden Festival running from April to October. This is a huge international affair with gardens designed by professionals from around the world. It’s a magnet for anybody interested in the subject, and each year provides new inspiration. And the gardens of the château themselves are continually being changed and improved. Rebuilt in 1492 by Charles VIII, the Renaissance design of the royal château of Amboise and the gardens came from the King’s visit to Italy. It was a great favorite of French monarchs, many of whom raised their families here, including the young Mary Stuart, the child Queen of Scotland who had been promised in marriage to the future French King Francis II. With such royal patronage, Amboise became a social and intellectual center, particularly after François I installed Leonardo da Vinci nearby at Clos Luce with a handsome salary. It was also used as a prison: Louis XIV incarcerated his steward Fouquet here. Once inside the château (now just a quarter left of the once huge palace), you come to the Chapelle de St-Hubert, with the much-visited tomb of Leonardo da Vinci, who died in Amboise in 1519. The terrace gives a panoramic view of the surrounding countryside and the Loire. This was the place for spectacular fetes given by Charles VIII. Tapestries cover the walls of the King’s apartments, furnished in grand regal style with Gothic and Renaissance pieces. You also see the huge Salle du Conseil and the Tour des Minimes with a ramp large enough to allow the knights to ride on horseback into the castle. The Mediterranean gardens are wonderful to stroll around; there are also guided tours of the underground passageways (in French). 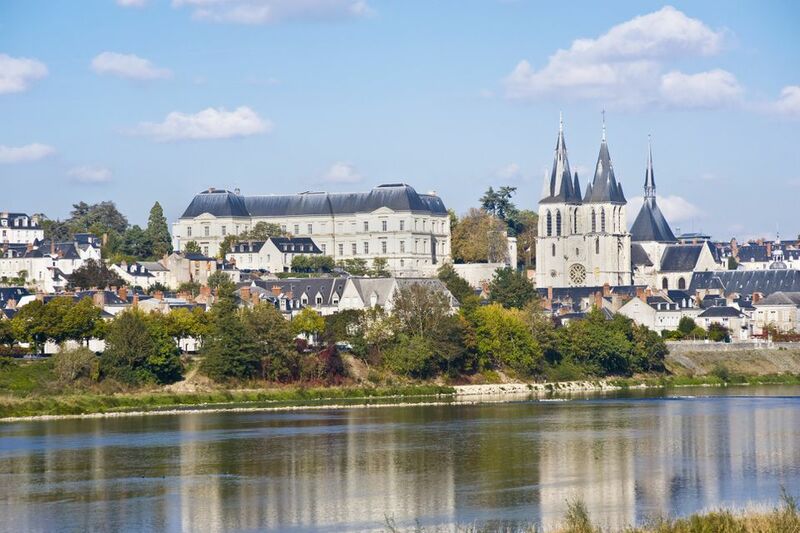 Amboise is an hour away from Paris by TGV, or 2 hours by car. There’s a regular bus service from the town center and the château is 300 yards away. Invited to France by François I, the great Italian genius Leonardo da Vinci spent the last years of his life in Amboise, in the small château of Clos-Lucé right in the town and close to the King’s château. Originally built in the 1470s, the stone-and-brick building was the summer cottage of the monarchs. Leonardo came to life here in 1516 before his death in 1519. Inside you visit his bedroom, the kitchen, his study, the chapel with its walls covered in frescoes painted by his pupils. There’s a good video of his life which places Leonardo in the context of his time and culture. And there’s also a secret entrance used, according to tradition, by François I when he wanted to visit Leonardo without all the pomp and ceremony usually surrounding the King. 40 of the extraordinary machines he invented, from the first aeroplane to a helicopter have been recreated in the model room, illustrating the Renaissance man’s skills as an engineer. You can also see his designs put into practice in the garden, planted with the flora and fauna he in his art. The park outside has a trail to follow where at various points you can listen to Leonardo’s thoughts on botany, the human body and flight. This modest building doesn’t match the splendor of the main Loire Valley châteaux, but it is delightfully domestic and you come away knowing a lot more about da Vinci. Built across the river Cher, Chenonceaux is an extraordinary building. It's known as the Ladies’ Château, occupied by the Dames de Chenonceau. Originally built by Katherine Briçonnet, its history really began when Henri II purchased it in 1547 for his mistress, Diane de Poitiers. When Henri died in 1559 in a jousting tournament, his wife and arch-rival of Diane, Catherine de Medicis, forced Diane to exchange her beloved Chenonceau for Chaumont. Catherine got to work on the château, in particular building the two-story gallery on the bridge which recalls the bridges in her native Florence. Catherine bequeathed Chenonceau to her daughter-in-law, Louise de Lorraine, wife of Henry III. After his assassination, Louise retired to the château and took the white costume of mourning, becoming known as the ‘white Queen’ for the rest of her life. Chenonceau is lovely inside, with Gobelin tapestries and paintings by masters like Poussin and Rubens adorning the room of Five Queens, the apartment of Louis XIV, the grand gallery overlooking the River Cher and the Green Cabinet of Catherine de Medici and the kitchens. In July and August, the gardens are open at night and beautifully lit up. Wander through at your own pace as Italian classical music replaces the birdsong. You can learn more about the Dames de Chenonceau is the Musee de Cire (Wax Museum) just by the château. There’s a formal restaurant, tea room, and self-service restaurant. For an odd reason, the village is called Chenonceaux, though the chateau is Chenonceau, so don't worry; this is the right place! Regional trains run from Tours to Chenonceaux. The station is at the base of the castle. Built on an island in the River Indre by Gilles Berthelot, a rich financier during the reign of François I, the setting and the pretty towers and turrets of this enchanting castle make this one of the favorite châteaux in the Touraine region. Inside one of the most extraordinary features is the staircase enclosed in an ornate bay. Staterooms include the rich Royal Chamber, the bedroom of Louis XIII in 1619. 16th and 17th tapestries line the walls, keeping out the winter chill and the collection of furniture is notable. The English-inspired park surrounds the château but was only laid out in 1810 by the Marquis of Biencourt who built lovely water mirrors, paths, and planted cypress, Sequoia, and other trees from Asia. Take the regional train from Paris to Tours. Then either take the train, taking around 30 minutes to Azay-le-Rideau, or the frequent bus service from Tours to Azay-le-Rideau. One of the oldest fortified châteaux in France, Chinon was vital in the Middle Ages and at the time of Henry II in the 12th century, was a vast, imposing structure, its huge walls dotted with defensive towers that circled the vast castle and grounds. Chinon stood at the crossroads of Anjou, Poitou, and Touraine and was a vital strategic site. The town of Chinon is delightful with medieval houses filling the streets. It has a special place in English history – at no. 44, rue Voltaire, Richard the Lionheart died in 1199 from a wound sustained during the Hundred Years’ War in Limousin. There is a small tea room. Take the regional train from Paris to Tours. Then either take the train, taking around 45 minutes to Chinon, or the frequent bus service from Tours to Chinon (about 1 hr 15 min).